To provide extraordinary customer service to our Colorado clients. To offer complete solutions for a healthy home environment. Make "doing it right the first time" our commitment as a team and our business philosophy. Based in Grand Junction, Colorado, Mountain Crawl Space serves Western Colorado for crawl space repair, including Mesa County, Delta County, Montrose County, and Gunnison County. We also specialize in asbestos removal throughout all of Colorado State, creating healthy living environments for our clients. 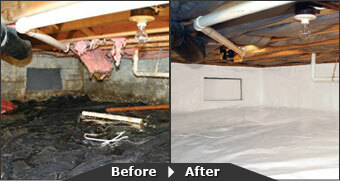 Mountain Crawl Space focuses on providing complete and permanent solutions, not just "band-aid" temporary fixes. When warmth and humidity enter the crawl space, and cold winter night air become part of the crawl space environment, a vented dirt crawl space can become more trouble than it’s worth! To address these problems, we have established ourselves as the leading authority on vapor barrier, air filtration, and crawl space moisture problems. 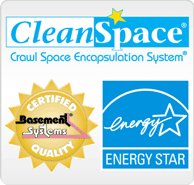 Mountain Crawl Space, Inc. of Grand Junction, Colorado provides permanent solutions, such as our crawlspace encapsulation system, to the homeowners we serve. In addition to being a complete and permanent vapor barrier and moisture solution, the system also serves as a passive barrier to radon gases, insects (such as termites and carpenter ants), vermin and small animals. By stopping the outside air from infiltrating, the system lowers the relative humidity within the crawl space. As a result of the lowered humidity levels, the system helps to prevent future crawl space mold growth and wood deterioration from occurring. Perhaps the largest benefit of the system is an increased indoor air-quality within the structure. It has been determined that 40-60% of the air we breathe in Colorado homes is derived from crawl space areas. Contact our sister company, Regional Asbestos Mitigation Services today. Asbestos can cause many health concerns if it is friable. Friable means the asbestos material has become dry and can easily break or crumble. If you suspect that you may have friable asbestos in your home or workplace, contact us today for an inspection and remediation quote. 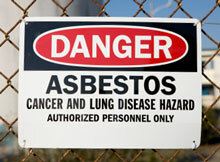 We provide asbestos services throughout all of Colorado State. We can handle any size project— commercial or residential— all while keeping within your budget. We’re not only certified to the highest level, but we also maintain high standards of quality. Our standards are so high that we trust our own family members to work in the remediation environments, without any harm.